Using mobile phones to report malaria outbreaks in Africa has been stunningly effective — reducing the government response time to an outbreak from four weeks to three minutes, according to a new report. HP, along with partners Positive Innovation for the Next Generation (PING) and Clinton Health Access Initiative (CHAI), and mobile network provider MASCOM, announced the results of the first year of a mobile disease response pilot program last week. According to Ellingstad, it can take three to four weeks to send a list of sick patients to a district health clinic and then to the Ministry of Health of a respective country. Electronically automating disease surveillance speeds up the communication time to three minutes, meaning the government can immediately send bed nets and and alert citizens to take precautions. 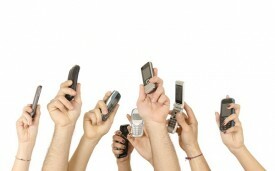 Speed isn’t mobile’s only advantage to the dated paper process. Ellingstad says reporting potential cases of malaria has increased from about 20% to 93% compliance. HP and CHAI have also started working with Kenya’s Ministry of Health and are in talks with Mozambique’s government to continue their expansion. 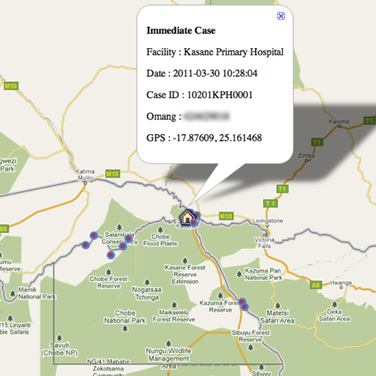 Kenya’s government is already using the platform to track the spread of 11 diseases, including malaria. Botswana’s government hopes to add another 16 diseases in the near future. HP and PING plan to open another 20 health facilities in Botswana by June 1 and an additional 80 by October 2012. In August, the program will begin tracking other diseases, starting with multi-drug resistant tuberculosis. PING, a Botswana-based NGO, plans to develop a game-like mobile phone tutorial, to ease the training of new health workers. When it comes to future uses of mobile phones in public health, Ellingstad says he feels like the sky’s the limit.